The Concours of Elegance 2016 at Windsor Castle will be the biggest, most diverse and most glamorous iteration of the legendary international event yet. In a celebration of Her Majesty The Queen’s 90th birthday, the Concours will bring together a larger selection of cars than ever, – almost 1000 over the course of the weekend – a broader array of features and a brand new supercar exhibit. As ever, the main focus of the Concours of Elegance will be sixty of the world’s most incredible cars gathered from all corners of the globe in to the glorious quadrangle at Windsor Castle. But this year the Concours’ additional events, including the Club Trophy, Jaguar Trophy and Bentley Trophy of Elegance will gather together 90 cars each, in celebration of Her Majesty The Queen’s 90th birthday. 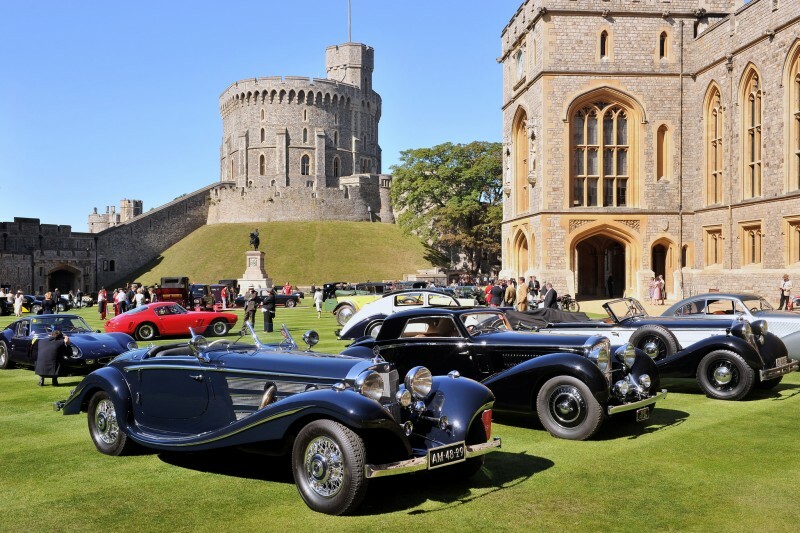 With the gracious permission of Her Majesty The Queen, the Concours is again visiting Windsor Castle, having held its debut event there in 2012 to mark The Queen’s Diamond Jubilee. Further honouring Her Majesty, this year’s Concours will also star a selection of cars from 1926, the year of Her Majesty’s birth, and a line-up of revolutionary cars of the past 90 years – one from each decade. This year’s Concours of Elegance will also have the broadest selection of cars ever, with a new feature lawn focusing on the latest supercars from legendary brands such as Ferrari, Bugatti, Lamborghini and Aston Martin. This year’s event will take place at Windsor Castle from the 2-4 September, preceded by an exclusive driving Tour for the Concours participants, which will take in some of the UK’s finest roads, before arriving at the Castle on 2 September.